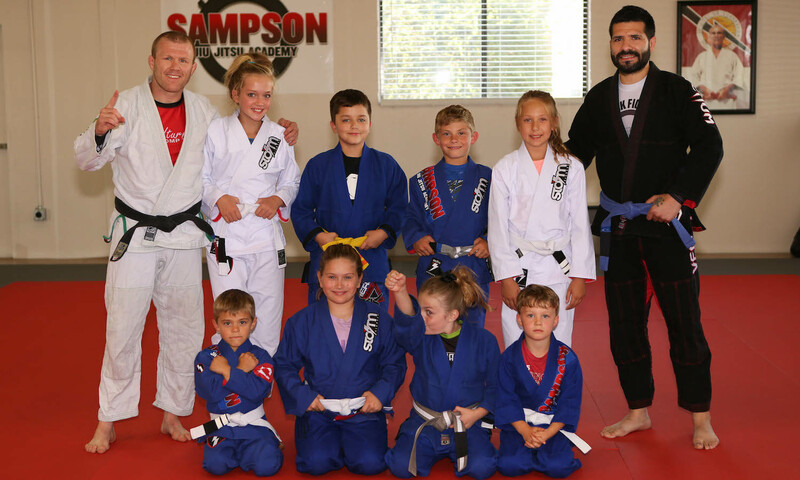 Register for the action-packed Kids Jiu Jitsu classes at Sampson Jiu Jitsu Academy, and you'll witness your child's inner champion shine! Our Kids Jiu Jitsu classes offer kids dozens of benefits, from introducing them to a healthier lifestyle and igniting a passion for physical fitness, to helping the live life with unstoppable self-confidence by teaching them powerful self-defense and anti-bully skills that every kid should know! Quite Possibly The Best Activity For Kids In Southlake and Grapevine! Our Kids Jiu Jitsu classes are jam-packed with a variety of age-appropriate martial arts exercises that kids love. We've split our Kids program into several different classes so your child gets the attention they deserve while never being bored or left behind. Our Little Champs program teaches Brazilian Jiu Jitsu in the Gi, No Gi Grappling with no submissions and Wrestling, and begins with awareness and good verbal communication techniques. Our goal based structure guides our students towards success by establishing and maintaining good habits including physical fitness and healthy eating. Our students learn that success is no accident and takes a lot of work. Much more than just self defense, our program will improve self confidence, foster healthy habits, discipline, anti-bully skills, and teach your child what it takes to be successful. The principles learned here will help them in all areas of life. Our Junior Champs Brazilian Jiu-Jitsu classes for kids focus on developing children mentally and physically. The program consist of Brazilian Jiu Jitsu, No Gi Submission Grappling and Wrestling disciplines. Respect, integrity, self-confidence, discipline and work ethic are a few of the building blocks to our success. 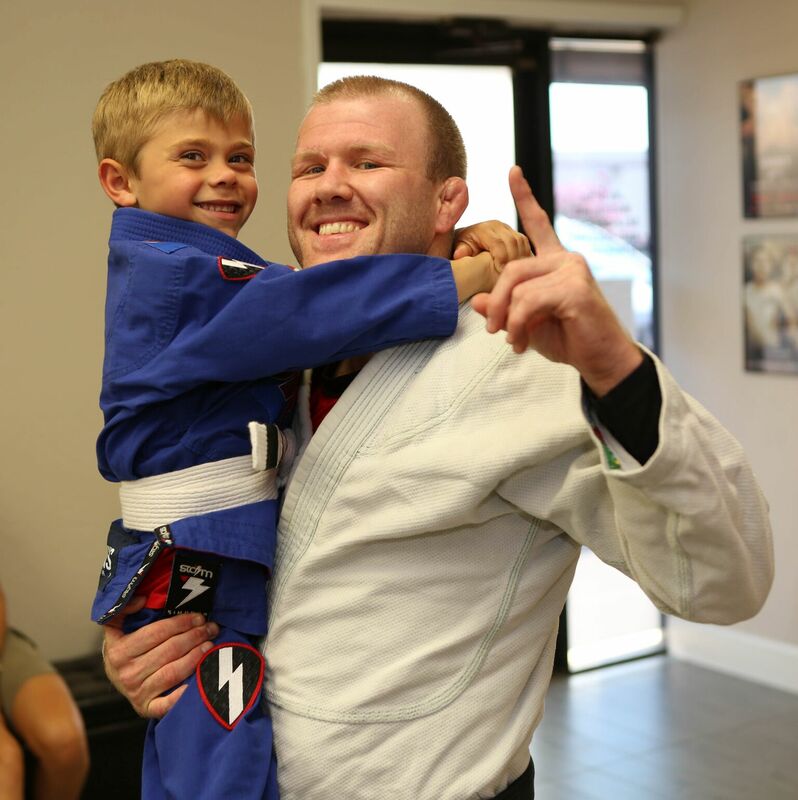 BJJ is a great vehicle for children to have fun, learn self-defense and ant-bully techniques, and adopt an attitude for success including success in BJJ, success at school and success with friends and family. Give Your Child A Kick Start With The Endless Benefits Of Kids Martial Arts In Southlake! The Kids Jiu Jitsu classes in Southlake are a great way to give your child an edge over peers and in life! Our classes will help your child develop important leadership skills and character building traits that kids just can't get anywhere else. Give Your Child The Confidence To Deal With Bullies, Peer Pressure & Give Them Skills For Life With Martial Arts! We Proudly Serve The Southlake, Grapevine, Trophy Club, Westlake and Keller Areas! From showing kids the importance of setting goals and inspiring them to reach for the stars, to rewarding their successes with tons of positive reinforcement, we bring out the inner champion in every child we teach! To find out more, just complete the brief form on this page. 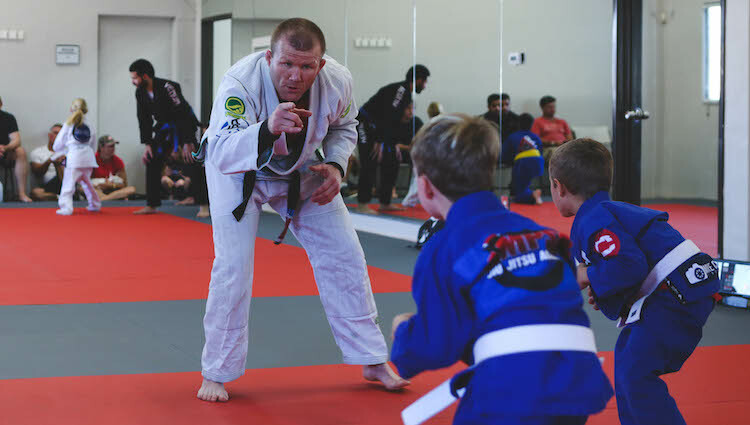 When you do, we'll give you all the details and we'll provide you with everything you need to get your child started in the Kids Jiu Jitsu classes at Sampson Jiu Jitsu Academy!